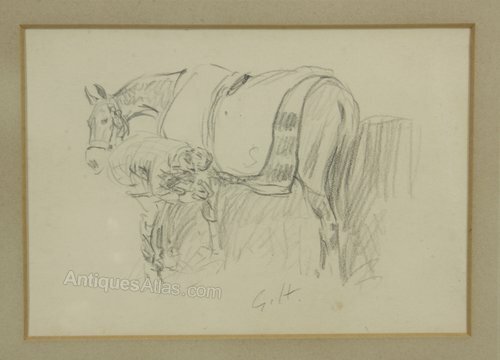 A charming pencil sketch of a horse and farrier by Gilbert Holiday (1879-1937). Signed with initials to the image it also has an old inscription attached to the frame on the reverse titled 'At The End Of The Day' and Dated Nov 1933. 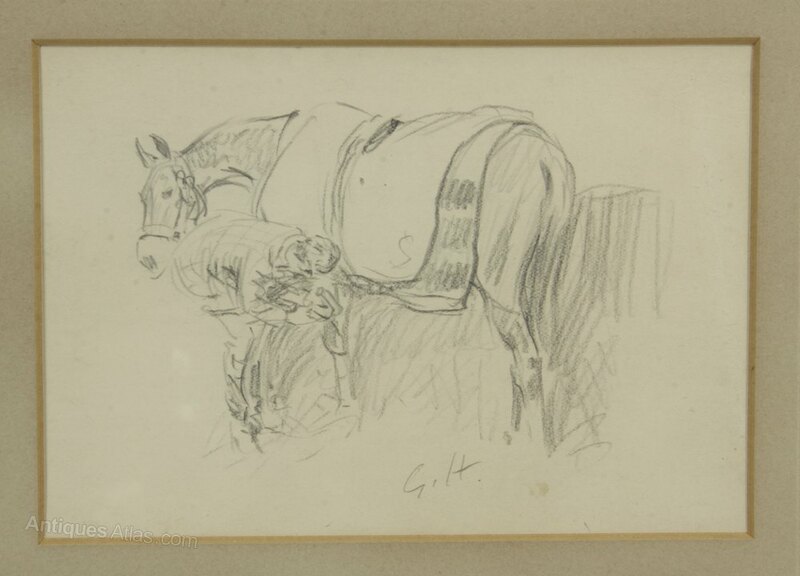 Gilbert Holiday was a contemporary of Cecil Aldin, Alfred Munnings and Snaffles and served as a reconnaissance officer in The Great War. The image is in good condition, commensurate with age, and has been in the frame some time. The paper is drummed down on board. The inscription to the reverse had been preserved under tape that has perished so is in delicate condition but is still just legible. 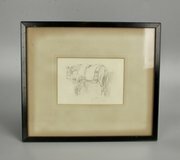 The image measures 10cm high by 14cm wide, with the frame 26cm by 29.5cm.